Jackthreads is a well known and reputed online shop for men’s fashion. It’s out of question that they have a great website, but if you have an account on their website and you’re thinking about closing it, we’re here to help and facilitate that process for you. 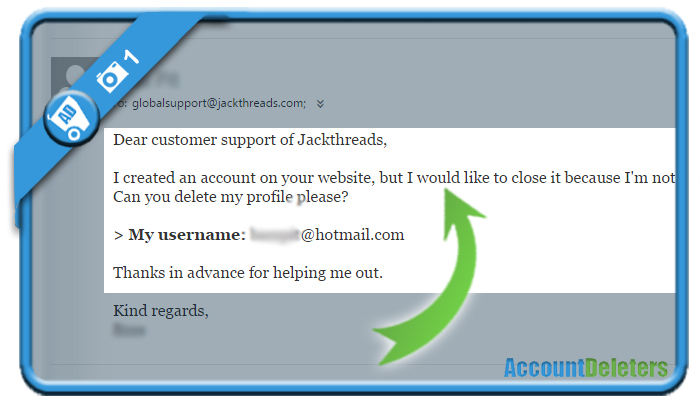 All it takes to remove your profile, is one simple email to their global support team. I have an account on your website, but I would like to close it. Can you delete my profile please? 30 minutes later (they’re really fast!) 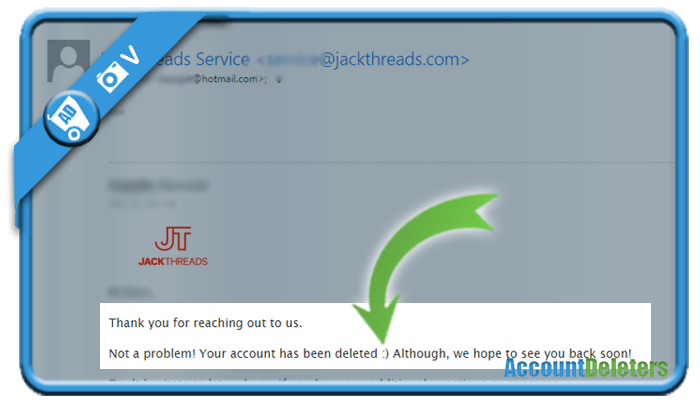 I received a confirmation from their support team that my account had been removed.